[…] This may be a studio album, but has the feel of a live performance. 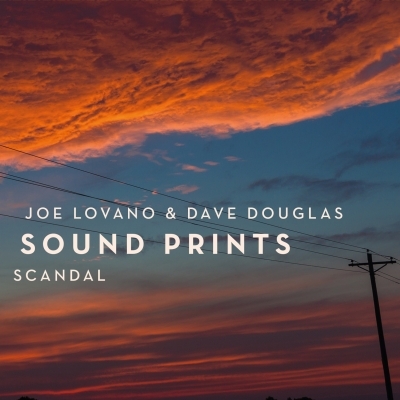 Douglas’ trumpet and Lovano’s saxophone chase each other, weaving in and out across every track. Their debut had two Shorter originals penned especially for them. This set has two classics, “Fee Fi Fo Fum” arranged by Douglas, and “JuJu” arranged by Lovano. The first starts with a nod at the classic riff, dissolves into a trumpet and sax joust, bursts into a fleeting piano solo over driving swing, switches to the theme, pauses for riotous, collective reflection before they’re off again. Joey Baron starts off a tumbling reflective take on “JuJu,” out of time for much of the piece, fragments of the tune declaimed before hectic joint exploration, then a little motific hook sparks a groove and Fields bursts out on piano. It’s exhilarating, high-wire playing.